Todays image serves two purposes. It fits my daily 365 challenge, and it also completes my January commitment for the WE35 project with The Photo Frontier. 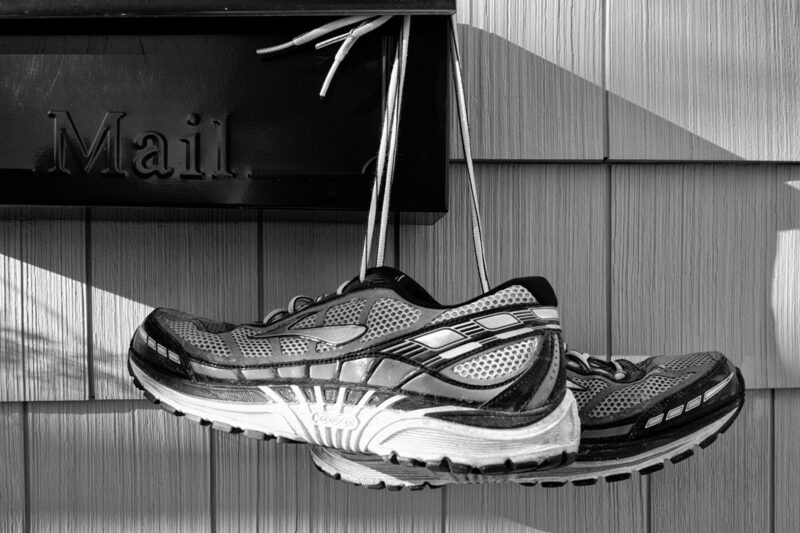 The challenge was simply to photograph your mailbox as a way of introducing yourself to the others taking the year long #WE35 journey. Simple. The twist however, was to put a bit of yourself in the image —to tell something about yourself, your neighborhood, etc. It took a while for me to come up with something, but when I finally did, I was amazed that it took so long! Since my mid 20s, running has grounded me. I’ve run over 40 marathons and logged tens of thousands of training, competitive and recreational mile over those years. Running has calmed me, it has energized me. It has been my stress management program. It has been my social life. Running has taken me across the country and made me countless friends. I would not be who I am without running.